North Korean shells have landed in South Korean waters, prompting Seoul to open fire across a disputed border zone. North Korea announced plans early on Monday morning to conduct military exercises along the western maritime boundary. The North fired several artillery shells in territory north of the North Limit Line in the Yellow Sea at 12:15pm local time (03:15 GMT), reports South Korean news agency Yonhap. After several shells landed south of the border, South Korean military opened fire with K-9 self-propelled howitzers. "Some of the shells fired by North Korea dropped in our area and our side responded with fire," a military spokesman told AFP news agency, adding that for the moment both sides were firing into the sea. The South Korean Ministry of Defense said that North Korea had fired off 500 rounds into southern territory and the South responded with 300 rounds. Earlier on Monday, the North Korean People’s Army warned their southern counterparts that military drills would be conducted in seven border regions. 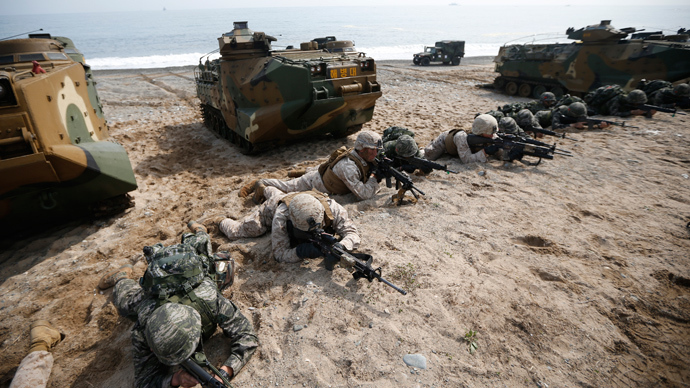 "North Korea demanded South Korea control its vessels in seven regions north of the NLL before it holds the live-fire drills," the Joint Chiefs of Staff (JCS) of South Korea said in a statement. "We have banned vessels from entering the training zone for the safety of residents and sailors." The North has drawn international condemnation over the last couple of weeks over its ballistic missile tests. Last week the UN Security Council warned Pyongyang that there would be consequences if it continued testing its missile technology. The Security Council passed a resolution in 2006 that prohibits the testing of ballistic missile technology by Pyongyang. Pyongyang regards its missile tests as an act of protest against South Korea’s ongoing joint military drills with the US, which it calls a rehearsal for an invasion. 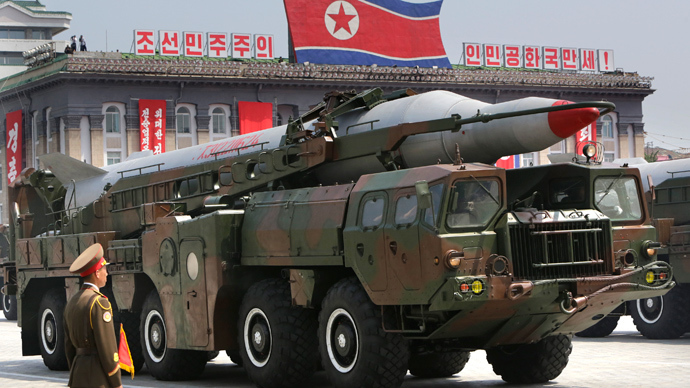 “We would not rule out a new form of nuclear test for bolstering up our nuclear deterrence,” said the Foreign Ministry in an official statement published on the KNCA news agency website. 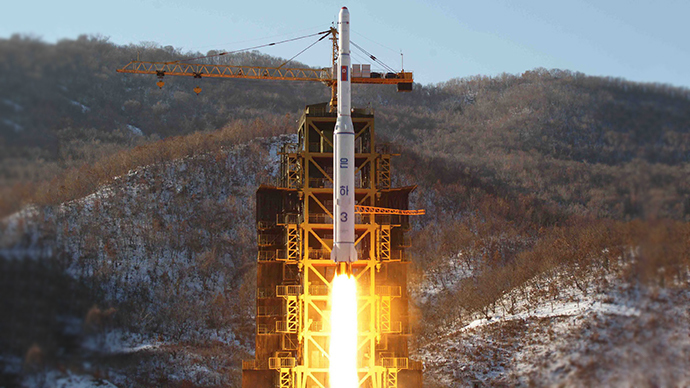 North Korea conducted its third nuclear test in February of last year, prompting Washington to ratchet up the economic sanctions on the Asian nation. 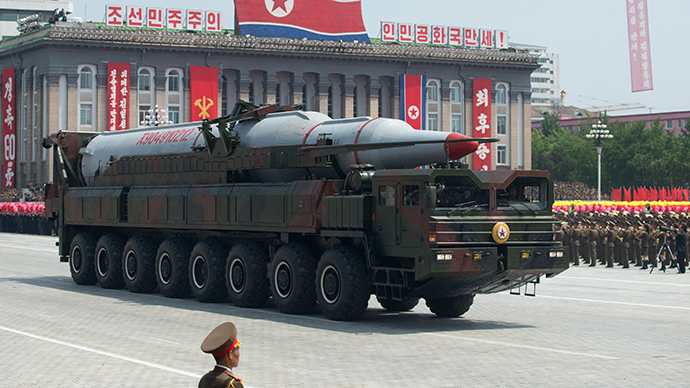 Pyongyang also carried out nuclear tests in 2006 and 2009 allegedly using a small stockpile of plutonium. The North also claims to be running a uranium enrichment program, fueling fears in the region that it will be able to produce fuel for atomic bombs.